Argentea Gallery exhibits & sells contemporary photography in Birmingham’s Jewellery Quarter. You’ve checked into one of the many hotels in Birmingham city centre. Now what should you see and do? Beyond the Bullring, there’s so much to explore. The city is filled with art and culture, independent eateries and canalside cafes. I spent a day exploring alternative ideas for you to enjoy in the UK’s second city. Tried and tested, these are my recommendations for the best things to do in Birmingham city centre. You’re going to need a decent breakfast or, if you’re like me and enjoy a lie in, brunch. A favourite with the locals is Ju Ju’s Café, located canalside. Ju Ju serves up homemade and heart-warming comfort food. I recommend the Eggs Benedict, which I enjoyed poached to perfection. Got a sweet tooth? Go for her famous, stacked pancakes. Arrive hungry, as the portions are generous! Beautiful paintings by Birmingham artist Annette Pugh at RCFA Gallery. Ready for some art? City centre gallery Reuben Colley Fine Art showcases some of the best contemporary painters in Birmingham. They also hold exhibitions of modern master art and limited-edition prints by L.S. Lowry, Grayson Perry, Damien Hirst and Matisse. I popped in to see a new show of paintings, featuring fountains, chandeliers and ornaments, by Birmingham artist Annette Pugh. Medicine Cafe and Gallery has a changing display of pop up exhibitions and vintage fairs. Check out other arty cafes in Birmingham here. Located on Birmingham New Street, Medicine is a new style of artisan bakery, café and gallery. Behind big brown doors lies a beautiful first floor Victorian space, that was previously home to the Royal Society of Birmingham Artists. Today it offers a selection of artisan breads, cakes and coffee. 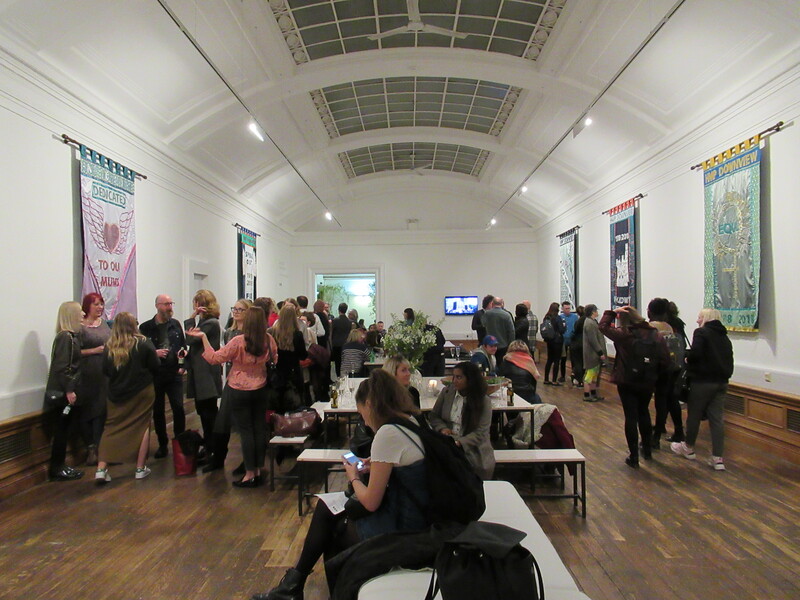 The space is also home to pop up exhibitions, vintage fairs and music events. I found a powerful exhibition of procession banners by artist Lucy Orta, celebrating 100 years since British women won the vote. 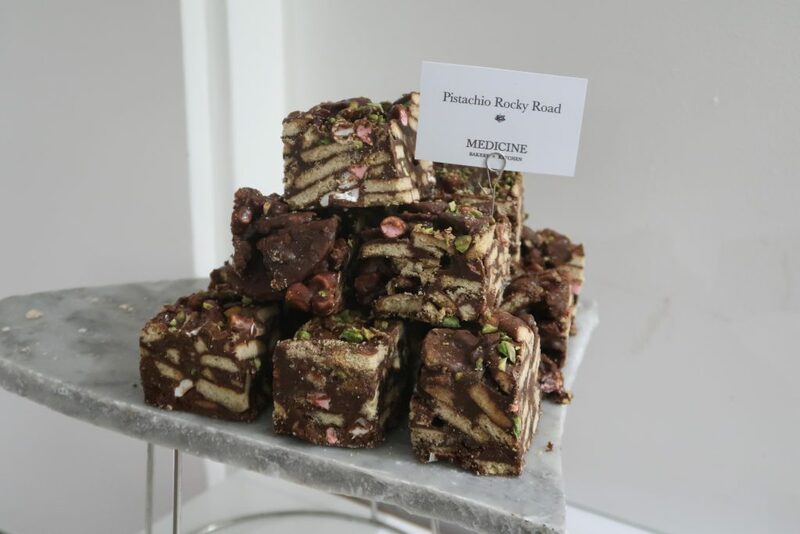 I also indulged in a generous portion of pistachio rocky road! Medicine is known for its artisan breads, cakes, cruffins and cronuts. You can’t miss the museum. Known for its world-leading Pre-Raphaelite collection, you’ll find masterpieces by Edward Burne-Jones, Dante Gabriel Rossetti and John Everett Millais. Once inside, you may as well enjoy a cup of tea in the Edwardian Tea Rooms. With high ceilings, historical paintings on the walls, and comfy sofas, it’s both grand and cosy. 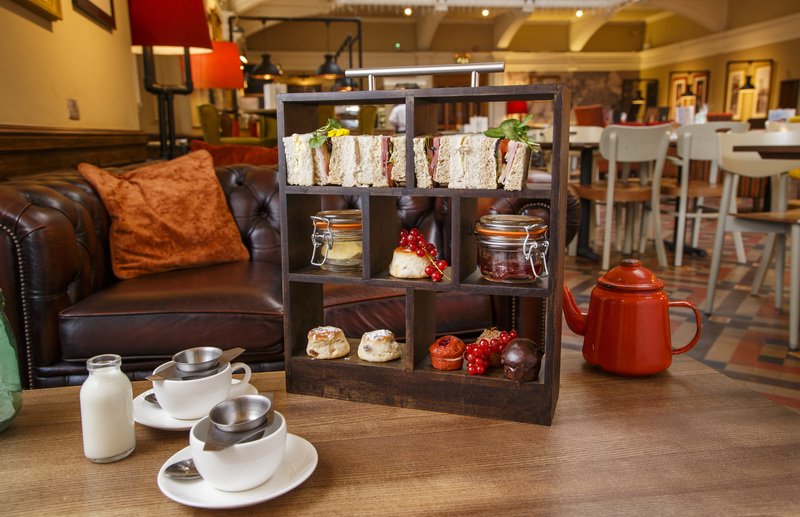 If you have time, I would also recommend their afternoon tea which comes served on a bookcase (and makes a lovely gift). Afternoon tea in the Edwardian Tea Rooms at Birmingham Museum & Art Gallery. A gift idea or treat for two? Time for some fresh air? Take a short stroll to the historic Jewellery Quarter. St Paul’s Square is the place to be. Here you’ll find independent cafes, bars and 2 of my favourite art galleries: the RBSA Gallery and Argentea Gallery. The RBSA (Royal Birmingham Society of Artists) has a busy exhibition programme and showcases work by local artists, including painters, printmakers, sculptors and designers. I discovered a new exhibition, showcasing handmade jewellery and craft pieces for sale by local Birmingham designers. A few doors down is Argentea Gallery. It exhibits and sells contemporary photography from leading Birmingham photographers and international artists. A great place to add to your art collection. Birmingham’s Jewellery Quarter is also home to some pretty special museums. At the Pen Museum you can take a calligraphy class. Coffin Works is a unique museum about coffin making, with tours & stories of the funerals of famous people in history. Another favourite is the Museum of the Jewellery Quarter, which has been built around a perfectly preserved jewellery workshop, offering a glimpse of working life in the Jewellery Quarter. Ana Rocha is both art gallery and restaurant, serving tapas alongside antiques. You can see which other bohemian bars Birmingham has to offer here. For dinner, I recommend Ana Rocha in the Jewellery Quarter. 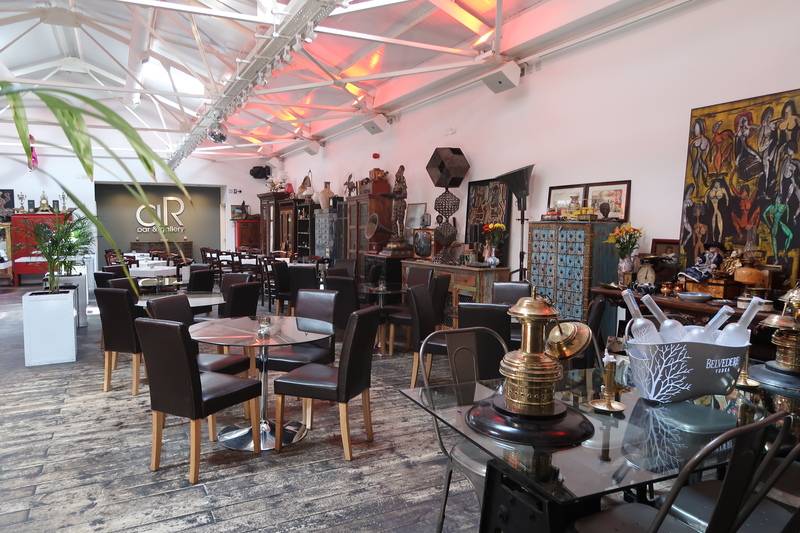 Situated in a former factory, it’s an enchanting fusion of art gallery, vintage cellar and bar. The menu serves up Spanish-style tapas and wine, alongside classic cocktails. On the walls are large abstract canvases by Spanish artist Vera Montalban, alongside mirrors and antique furniture. A table full of tapas at Ana Rocha. I enjoyed a mix of traditional Spanish tapas plates, from croquettes and patatas bravas to spicy prawns and Padrón peppers, accompanied by a bottle of Spanish wine (of course!). The service was excellent and it’s a completely unique experience. Who else has eaten in an antique treasure trove? Arch 13 combines a traditional wine cellar with a contemporary cocktail bar. After a nightcap? Arch 13 is one of Birmingham’s trendiest bars. 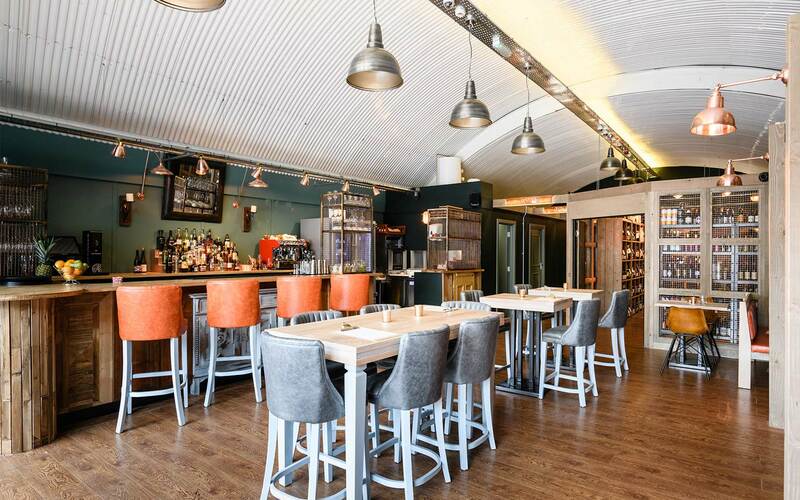 Located under the railway arches in the Jewellery Quarter, it combines a traditional wine cellar with a contemporary cocktail bar. Relaxed and informal, it offers an impressive list of wines by the glass, and classic cocktails, many served with a twist. I ordered an Old Fashioned. It was the perfect (and potent) end to my day out in Birmingham, where tradition and heritage continues to be celebrated in an increasingly cosmopolitan city.